At Brighton Music, we strive to maintain a very high level of professionalism and know that today's beginning students may be tomorrow’s professionals. For this reason we have tailored our rental program to help ensure the best opportunity for your child’s success. We offer a unique band and orchestra rental program with all instruments being high quality, name brand, and professionally inspected. Every year, we rent out thousands of instruments to over 30 different schools across Western PA and Eastern Ohio. - Renting online is quick and easy, just click on the button below to get started! - Once we receive the rental application, we will process the rental and deliver it to your school. - Any questions during the application process? Give a call and we will be happy to help! - Download this application to fill out and mail in to one of our two locations. - When mailing in, please be sure to include a signed copy of the agreement as well as payment via cash, check, or credit card information. - Once received, we will process the information and deliver it to your school. -Stop in to either of our two locations to rent an instrument today! - No appointment needed, the process is very quick and simple. -When completing a rental in-store, you are able to leave with an instrument that day! Every rental starts out with a 4-Month Trial Period with a one-time initial payment. Within the trial period, a protection plan is available and you may return at any time. There is also no long term commitment to the rental, whether it may be two week or two years, you may return at any time. BMC takes weekly trips to over 30 school districts in the area. If you are in need of books, accessories, or repair, just call one of our two stores and we can bring those items to your school! With every rental, we offer an Optional Protection Plan (OPP) for an additional small fee per month. This plan covers accidental damage, fire, or theft. This protection plan is available at the time of rental. Before every rental goes out to a student, each instrument is professionally inspected, adjusted, and cleaned for a optimal playability. We also have a full service repair shop with highly-trained band & orchestra specialists for your personal instruments. Our newly renovated repair shop is now equipped with an ultrasonic cleaning tank! With every monthly rental payment, you will be accumulating equity towards the purchase of a brand new instrument. You may use your discount, up to the maximum, to purchase any new band or orchestra instrument. 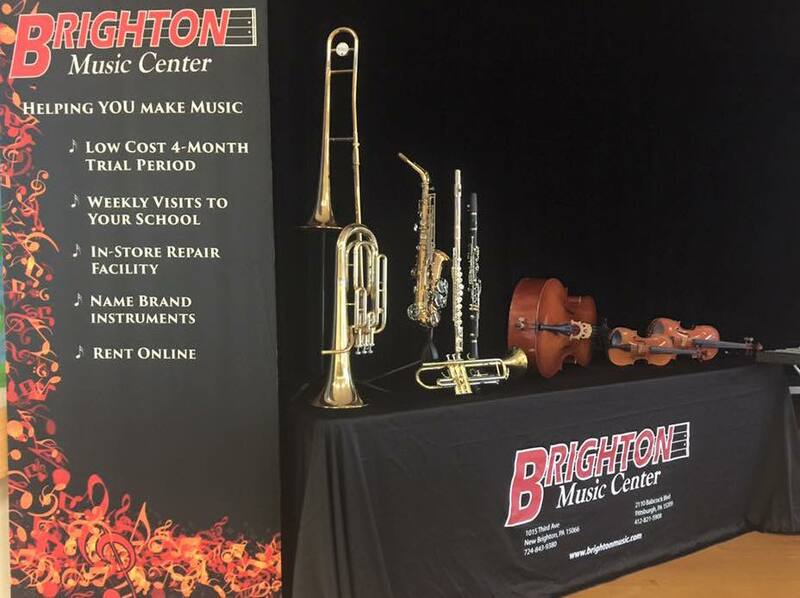 When deciding on a new instrument, we highly encourage the student to try several different models in order to find the perfect fit for them!